Editor’s Note: Beloved NPQ columnist Woods Bowman died suddenly last Friday in an accident. We have no words sufficient to express the loss that we feel. 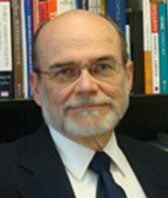 Woods, an economist, was of course the Nonprofit Ethicist and a frequent contributor to our magazine on issues of finance and ethics, but he was far more than that. He was a deeply loved friend and advisor to NPQ. So today, we are running one of Bowman’s more recent and impassioned pieces on the reasons behind the vibrancy of Chicago’s opera scene and ask you to join us in remembering him. It’s a mystery. How is it that the percentages of the U.S. population who had attended an opera performance declined from 3.2 percent in 2002 to 2.1 percent ten years later but the Lyric Opera of Chicago’s ticket sales were up by 15 percent? It’s probably not luck. During the same decade, subscriptions at the Chicago Opera Theater grew by 20 percent and Chicago welcomed two new opera companies. F. Paul Driscoll, editor of Opera News magazine, calls the Chicago opera scene vibrant and says, “Chicago has a huge appetite for music.” True, but struggling opera companies want to know what they can do to hang on and hopefully to lay the groundwork for growth. Allow me to help. I have studied nonprofit organizations for 15 years, as long as I have been a subscriber to Lyric Opera and other musical ensembles in Chicago, and I think I can discern some secrets of their success. But first let’s review the basic rules that all successful performing arts organizations follow instinctively. They may be obvious, but they deserve emphasis. Success requires solid management. The beloved New York City Opera folded because of poor governance and the cumulative effect of managerial missteps. Arts organizations are a special challenge to manage because top managerial leadership is divided. Both executive director and artistic (or music) director must be good at their own jobs, but they must also understand and appreciate their partner’s role. Cost control and artistry can coexist. When the economy is not doing well, I have noticed more frequent use of smaller ensembles and casts and it hasn’t hurt. Success requires first-class artistic talent. Some nonprofits can limp along for years doing mediocre work because they are the only game in town, but performing arts organizations do not have this luxury. These days, everyone everywhere has access to the very best performances on CDs, DVDs, streaming video, and—in the case of opera—cinemas showing broadcasts direct from the Met at a fraction of the cost of seeing a performance in person. Success begets success, and failure, or even the perception of failure, begets actual failure. As soon as the curtain rises, an empty seat has zero value. No, make that negative value, because artists hate playing to a half-empty house and patrons, surveying the empty seats, will wonder why they came. Wise executive directors will heavily discount tickets to students and other groups who would be unlikely to attend otherwise. Student discounts are also an investment in the future. Good managers and talented performers live everywhere. It is just a matter of finding the best local talent and designing programs that show off the artists’ strengths. Don’t try to be all things to all people. 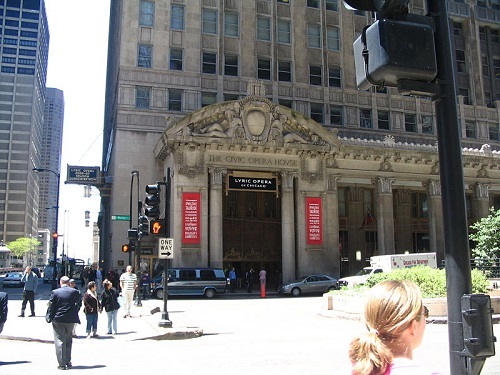 Lyric Opera specializes in operas of the Romantic era and early twentieth century. This leaves room for the Chicago Opera Theater to perform contemporary works, the Haymarket Opera to stage Baroque opera, and South Shore Opera to feature largely African-American artists. Specialization creates audiences for multiple opera companies, which, in turn, builds interest in opera as an art form. People will buy their first ticket just to see what the fuss is about. Do whatever it takes to get people in the door. Once people have a good experience, they will come back for more. The Joffrey Ballet packs them in with the Nutcracker. For Goodman Theater, A Christmas Carol is the audience magnet. Although it caused some initial grumbling among long-time subscribers, Lyric Opera has one Broadway musical, like Showboat and Sound of Music, in its lineup every season. To placate subscribers with classical tastes, Broadway offerings are add-ons not included in subscription series. Incorporate other art forms whenever possible. I saw a Met broadcast of Rusalka at a cinema, and two weeks later I saw it live at Lyric Opera. The Lyric version integrated ballet into the party scene in Act 2. The Met staged it in conventional fashion without dancing. The dramatic effect of adding dance was electrifying. Give subscribers opportunities to bring friends. Opera has a forbidding reputation involving foreign languages, complex plots, and sitting a long time in one position. Lyric cuts through the barriers with Subscribers Appreciation Night where one or more famous artists perform in recital with the orchestra on stage. The selections are crowd-pleasers drawn from multiple operas. It is just the kind of evening that an operatic neophyte might enjoy. Also, the format demands less rehearsal time, which holds production costs down. Get rid of the stuffy image. Opera companies need to change their image from being “museums” for a nineteenth-century art form to being venues for mass entertainment. Lyric Opera collaborated with Second City to produce a night of comedy poking fun at opera. Patrons sat on the Lyric’s stage cabaret-style and enjoyed snacks and drinks while laughing at rapid-fire jokes. Its host, Lyric Opera, let the public know that it is in the entertainment business. Other initiatives are in the category of long-term audience development. Reaching out to children and their families, Lyric Opera collaborated with two local theater companies to create and stage an English version of Donizetti’s comic opera Don Pasquale, edited down to one-hour and retitled as Popcorn and Pasquale. The kid-friendly edition makes massive cuts in the original, but who cares? It is cultivating the next generation of opera lovers. This year, it used the same winning formula to transform Rossini’s comic opera TheBarber of Seville into The Family Barber. Reaching out to the fast-growing Latino community, Lyric Opera presented the Midwest premiere of Cruzar la Cara de la Luna, the world’s first mariachi opera. This year it is presenting Canciones y Arias, a blend of mariachi and opera in recital. Performing arts organizations compete for the public’s leisure time. The most important time commitments for the average middle-aged person, which take precedence over all else, are work and family. Symphonic orchestras have more programming flexibility than opera companies, which the Chicago Symphony Orchestra (CSO) uses to good advantage. The CSO has several subscription series of three programs each that allow people to seek relaxation in music without neglecting their commitments. Afterwork Master Works: Held midweek, on Wednesday nights, performances begin at 6:30 p.m. and run 90 minutes without intermission, so patrons have enough time to grab a bite beforehand and get home in time to put the kids to bed. Retired folks, who no longer enjoy staying out late, also like this series. Friday Night at the Movies: The whole family can enjoy hearing the CSO playing music of the movies. Some programs are medleys of numbers composed by the same person with simultaneous projection of clips from the actual movies. (CSO strips out the music from the soundtrack so the audience hears only the CSO.) Some programs are complete films with the symphony playing the entire score. This season I saw Charlie Chaplin’s City Lights. It was his first “talkie” and he also composed the music. Chaplin was a composer? Who knew? Beyond the Score: Held on Sundays, the program consists of an original one-act show about a famous composer based on his diaries and other contemporaneous sources, starring professional actors. After intermission the CSO plays a piece in its entirety, usually a symphony or concerto, that was an important element in the show’s script. This format accommodates families with two working adults and teenaged children. It is also a fine example of combining different artistic genres. There is no mystery to what ails classical music companies. Their leaders just need to pay attention to basics and be creative. Isn’t creativity what all theatrical entertainment is about, anyway?